Home » Actor » Actress » Bollywood » India » Movie » News » Picture » Song » Update » Smt. Shaila M Baby, Asst. Director (E) at AIR, Chennai retired on 31 August, 2018. Smt. Shaila M Baby, Asst. Director (E) at AIR, Chennai retired on 31 August, 2018. Smt. 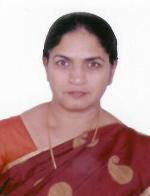 Shaila M Baby joined AIR, Dharwad in the year 1984 as Engineering Assistant. Later on, she was promoted as Sr. Engg. Assistant and posted at DDK, Thiruvananthapura. In the year 2001, she was promoted as Asst. Engineer and posted to PGF, Thrissur. Finally, she got promotion as Asst. Director (Engg.) at AIR, Chennai. During her service period, she has served in various Stations like LPT, Palakkad, DDK, Inspection Cell in Bharat Electronics, Bangalore, SPT, AIR, Bangalore and LPT, Kuppam. A very sincere, dedicated and hard working personnel. After put in 34 years of service, she has opted for VRS and is retired on 31.08.2018. All the Staff of AIR, Chennai and Prasar Bhararti Parivar wish Smt. Shaila M Baby a very peaceful and healthy retirement life.